Big Leather Couch: Five On Friday - What Is The Common Theme? 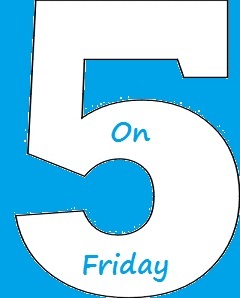 Five On Friday - What Is The Common Theme? Five On Friday, Travis, What Is The Theme? Let me take a wild guess, Vinny ... they have all performed or been honoured at the International Blues Challenge? I think I got this one. Richie Furay, Stephen Stills, and Neil Young were all part of Buffalo Springfield. Jim Messina was also in the band at one time. Furay & Messina started Poco. None of them have ever been in my kitchen? The common thread is that they are all killer tunes that serenaded me this morning as I feasted on a marvelous breakfast cooked by my lover girl. Poco rules! PHFRANKIE: And what WAS that breakfast? I twigged on the Jim Messina connection throughout so I agree with Travis. Wonderful set. Since Jay stole my stock answer and the real answer has already been given, I will just say that these are all grizzled looking guys, present day. Well done, Travis. Buffalo Springfield is one of those bands that you look back and are amazed at the individual artists who were members at one time or another. I just added your Peace Bee and link to a new Peace Page on my blog. If you want any particular link added there - let me know, ok? Well thank goodness that Travis guessed correctly as I never would have gotten the right answer in a million years!